I play the flute, saxophone and trombone. I am a member of the Caithness Big Band and the Caithness Orchestra. I was a pupil at Ridgewood School where I studied for my GCSEs (including French and German as well as science and maths) and went on to study at Danum Sixth Form for my A Levels (Maths, Biology and Geography). I studied marine biology at the University of St Andrews with an exchange year at the University of California Santa Cruz. I then completed my MRes in Ecology and Environmental Management with a placement at Cefas and my dissertation on impacts of climate change on cod in the North Sea. Finally I gained my PhD from the University of Glasgow in 2010. Whilst completing my A-levels and again during my undergraduate degree I worked as a private music tutor teaching flute. I worked for a few weeks as a fruit picker in Australia harvesting tomatoes. It was one of the hardest jobs I have ever had. I worked as a research assistant at the British Antarctic Survey counting penguins on aerial photographs. I then went to Tasmania and did a similar thing there for the Australia Antarctic Division! 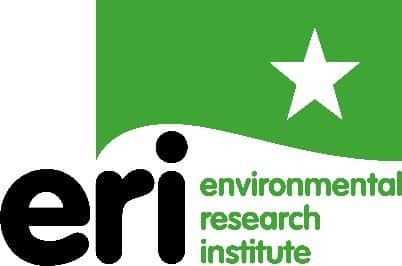 After finishing my PhD I worked for an environmental consultancy in Glasgow before taking up a position at the Environmental Research Institute and moving to Thurso. Developed quantitative methods for the assessment of cumulative impacts of wind farms on birds. These methods are important because with increasing numbers of wind turbines in the environment, there is an increasing risk that birds will be negatively impacted. The methods provide a way in which to estimate the likely ornithological impact of wind farm developments and compare the impacts of proposed developments which allows planners and ultimately governments decide which wind farms can be built. I am one of a few people who studies the ecology of black guillemots Cepphus grylle. This is important because it is a species for which we often know little about, particularly in Scotland. I recorded black guillemots diving to depths at which tidal stream turbines (renewable energy devices) can be installed, thus providing quantitative evidence that black guillemots should be considered in environmental impact assessments of any new developments. I like to swim and do outdoor/wild swimming; I have swam at Silfra in Iceland which is the only place in the world where you can swim directly in a crack between two tectonic plates! When I was studying at University of California Santa Cruz, I had a lecturer called Mary Silver and I found her an inspiration because she was a marine biologist who was also a field biologist, working in a very male dominated field. I was also fascinated by her work on ‘marine snow’. She also took us on a fieldtrip out to sea on a boat at night to see bioluminescence.